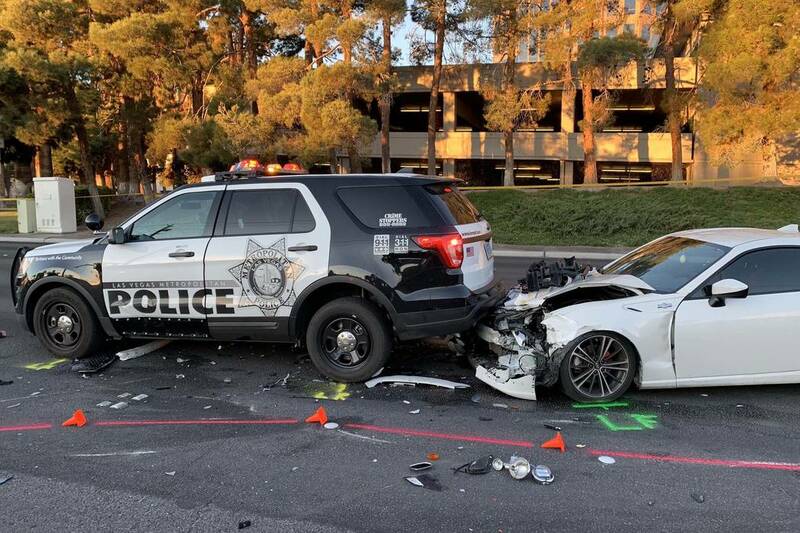 A Las Vegas Metropolitan Police Department officer is hospitalized with serious injuries after a suspected DUI-related crash early Tuesday, according to a department spokesman. 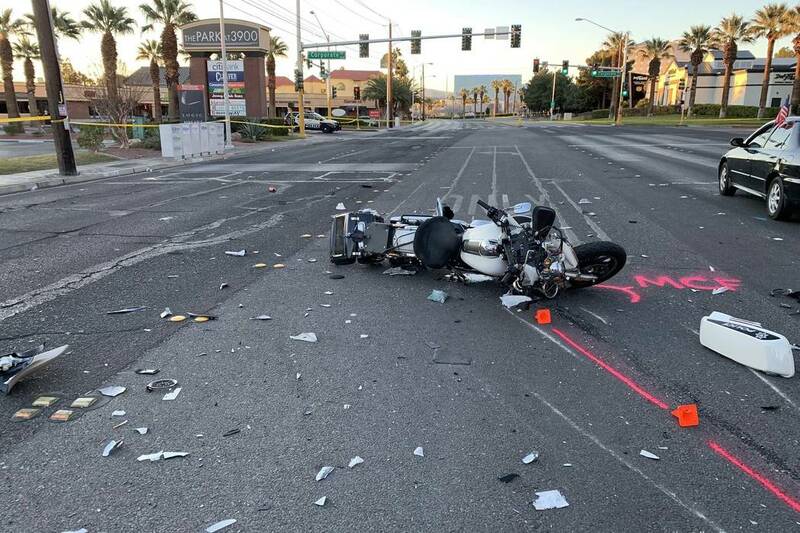 A Las Vegas police officer was hospitalized with serious injuries after a suspected DUI crash early Tuesday, authorities said. Two police officers, one driving a patrol car and the other on a motorcycle, were on foot investigating a crash on Paradise Road near Corporate Drive when a car slammed into the police motorcycle at about 4:30 a.m., Metropolitan Police Department Lt. William Matchko said. The collision sent the motorcycle careening at the officers, Matchko said. One officer was taken to the hospital with serious injuries. The other officer was not injured, Matchko said. Police believe the driver whose car struck the motorcycle was impaired, Matchko said. The suspect, a man in his 20s, was not injured and was arrested at the scene. His name was not released. 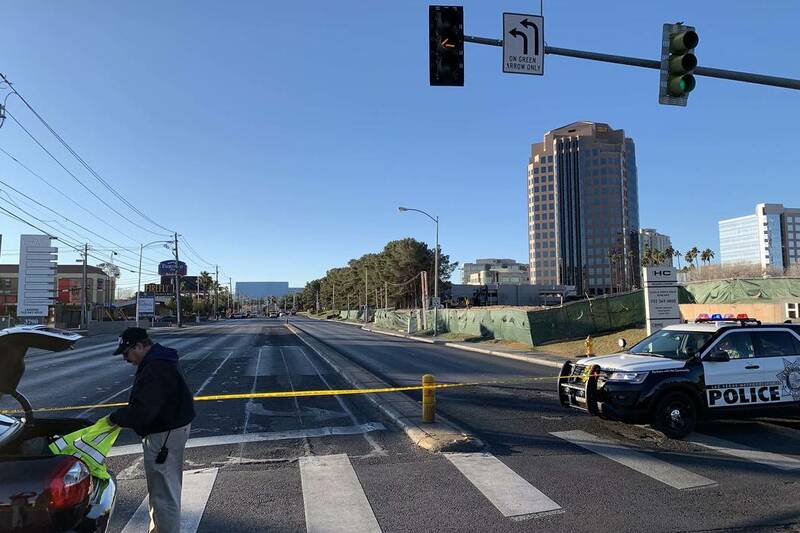 Paradise was closed in both directions between Sands Avenue and Flamingo Road for several hours. 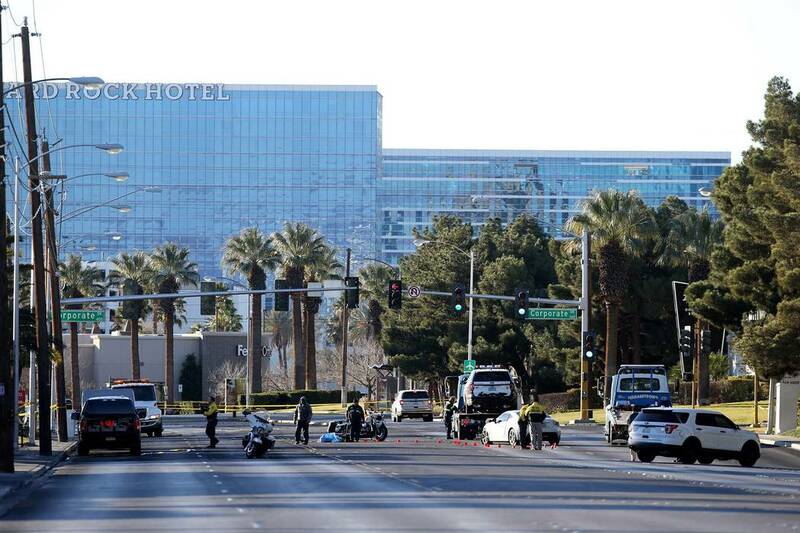 Traffic was reopened by 9:20 a.m., according to Metro Lt. Chris Holmes.